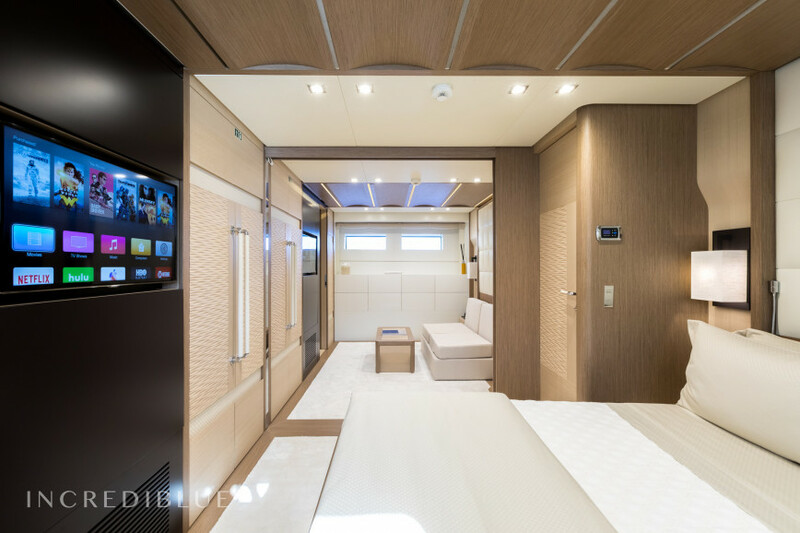 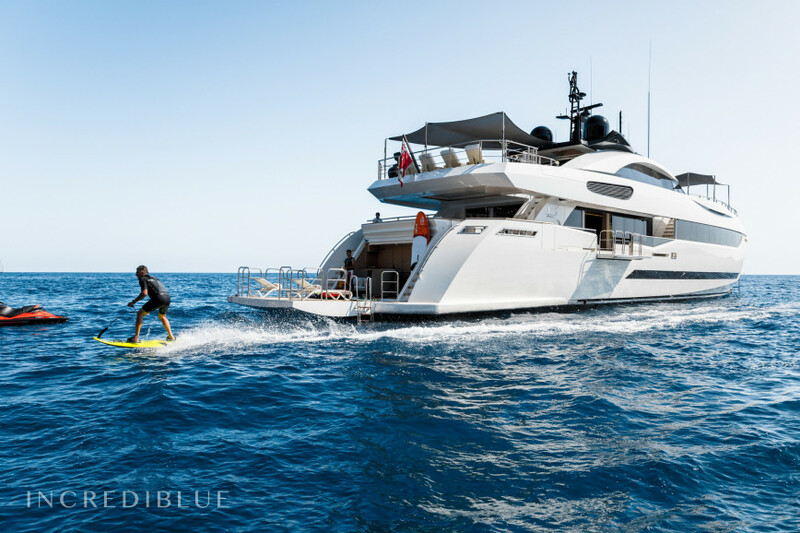 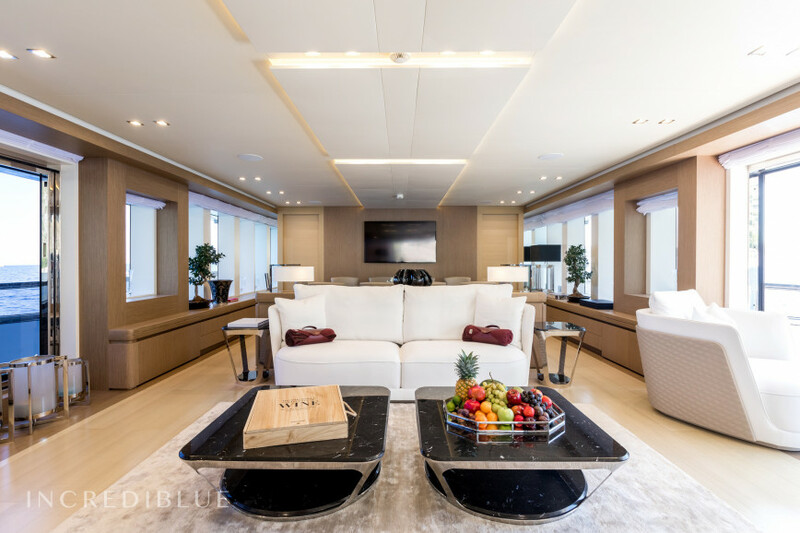 Built in 2016, the distinctive lines of this 131 footer is the perfect combination of sporty and luxurious. 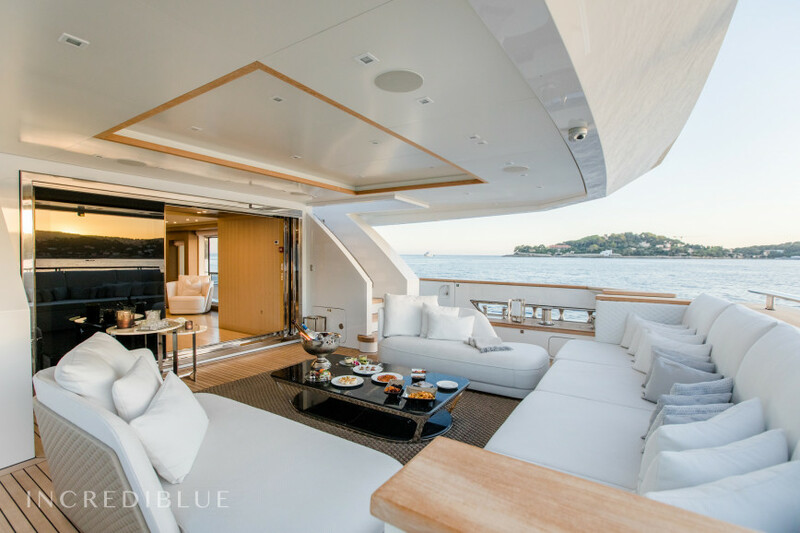 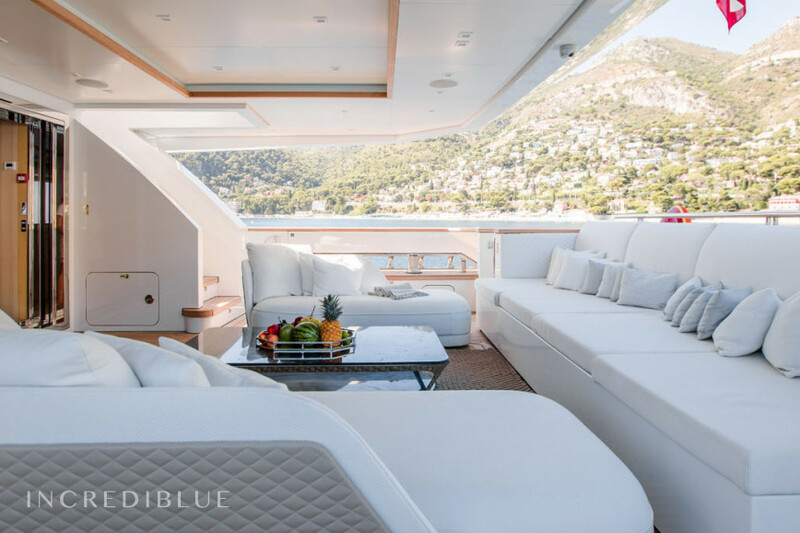 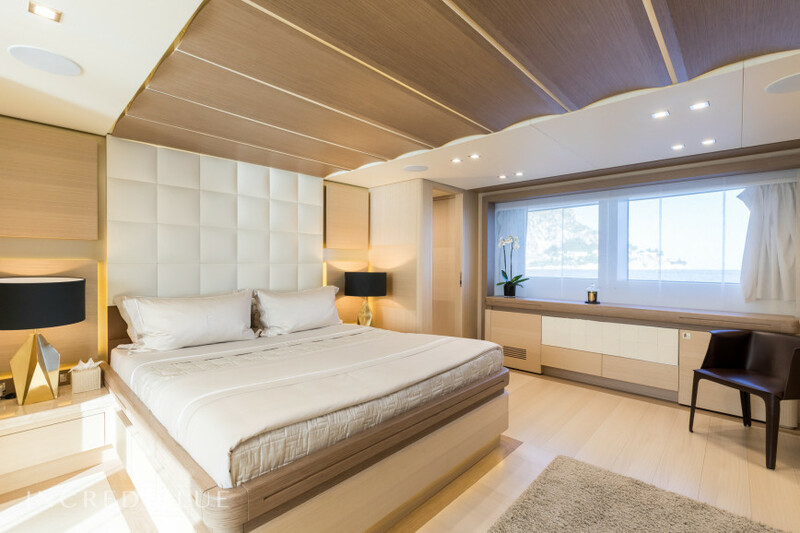 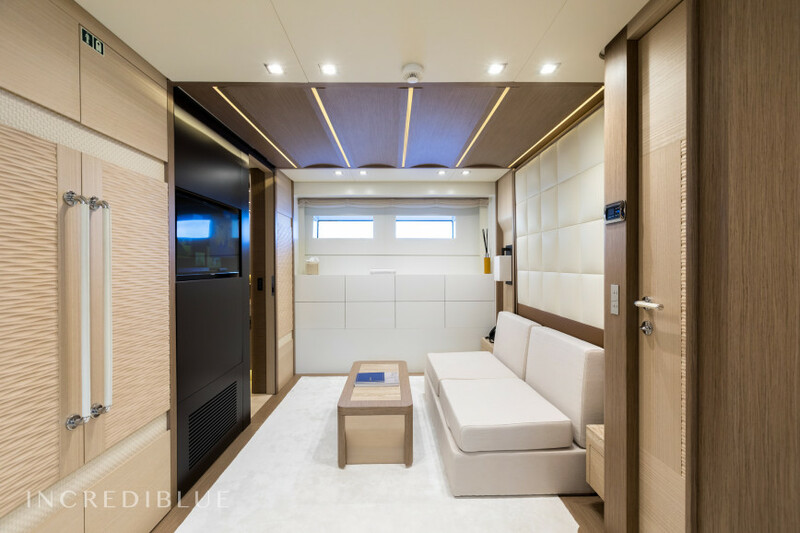 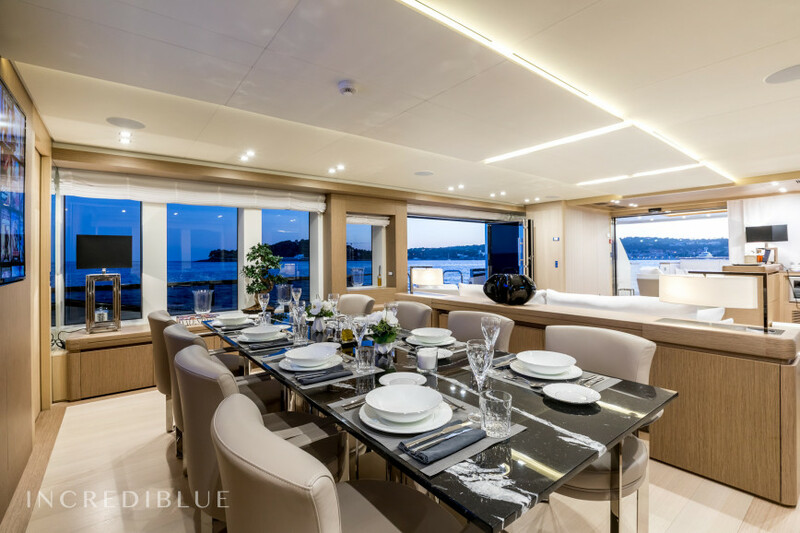 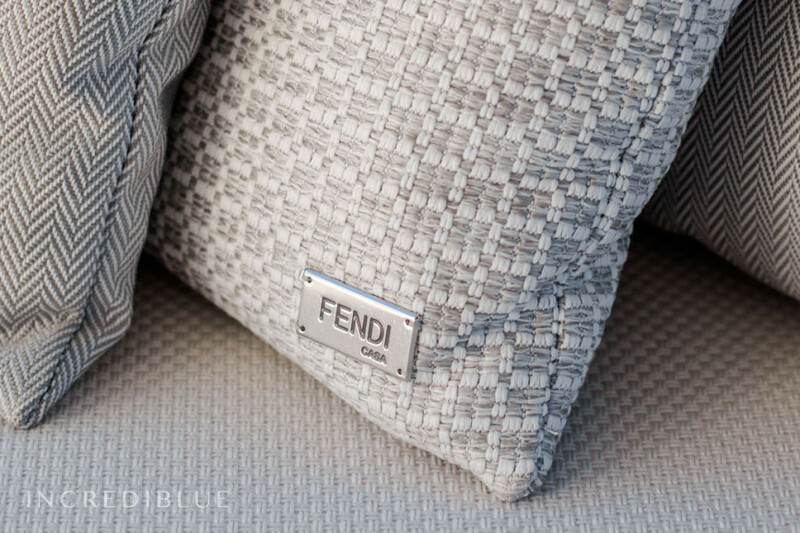 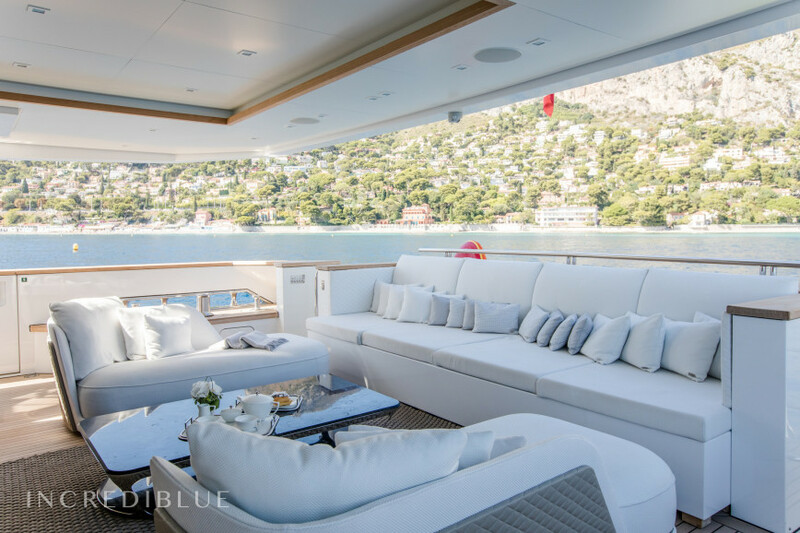 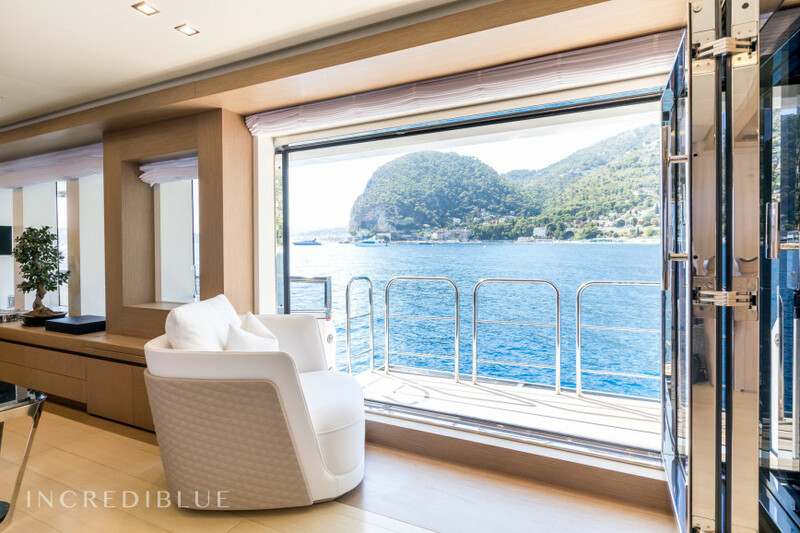 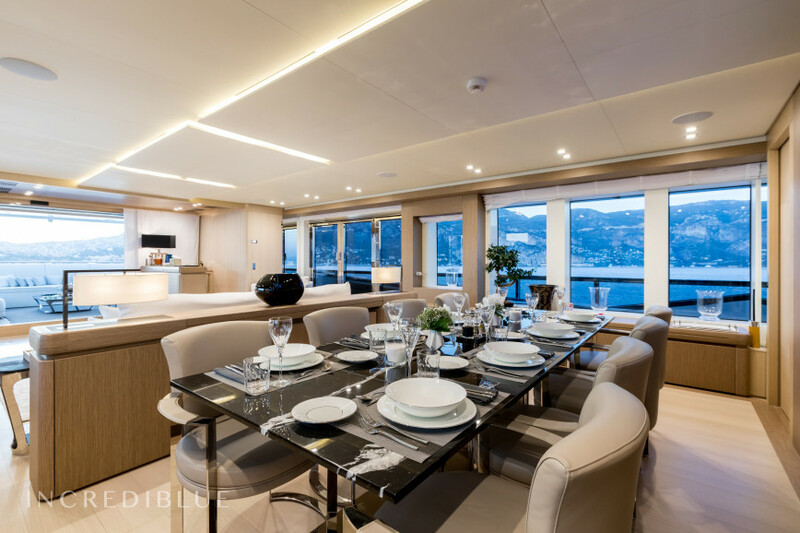 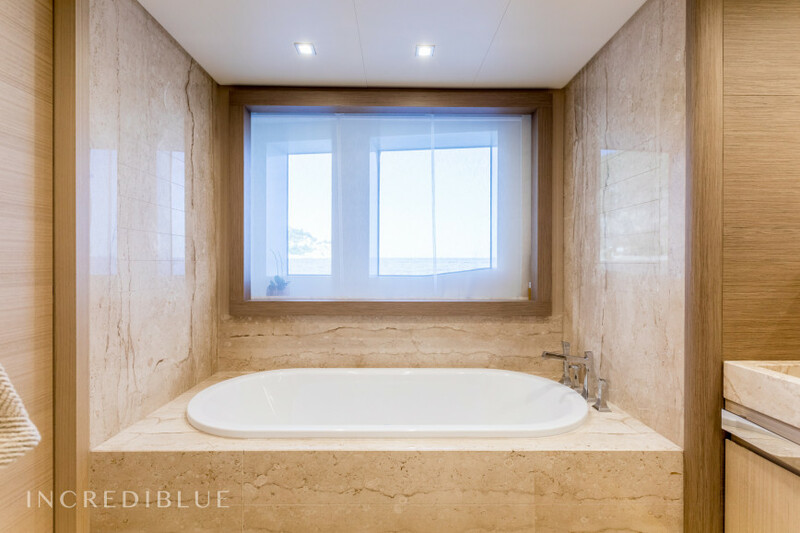 The interiors are spacious and the main salon has exclusive Fendi and Bentley furniture and features large sliding glass doors on both the port and starboard sides that open onto 2 folding balconies. 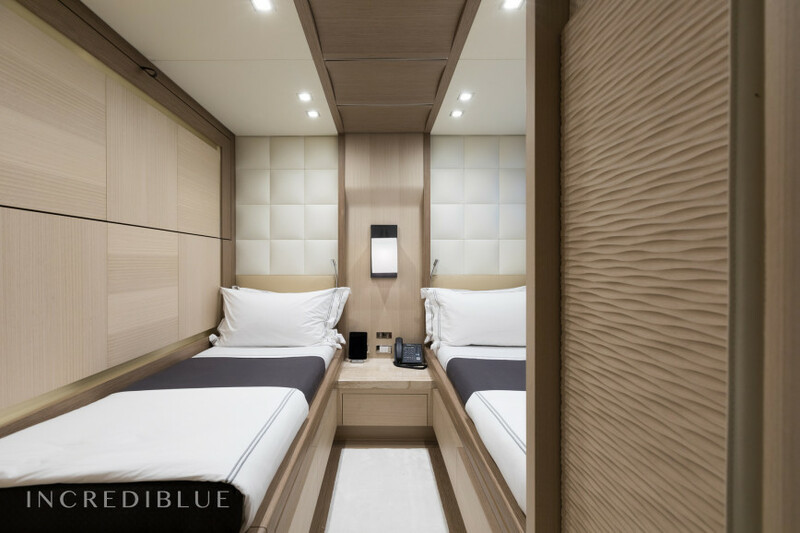 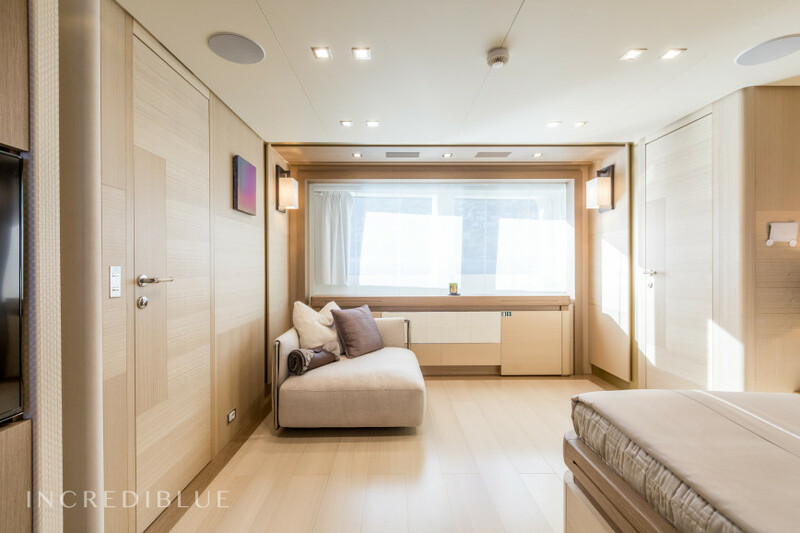 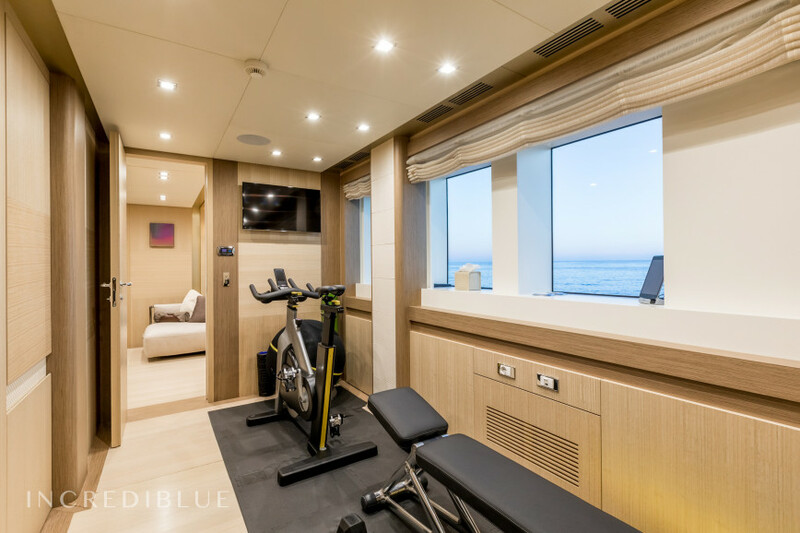 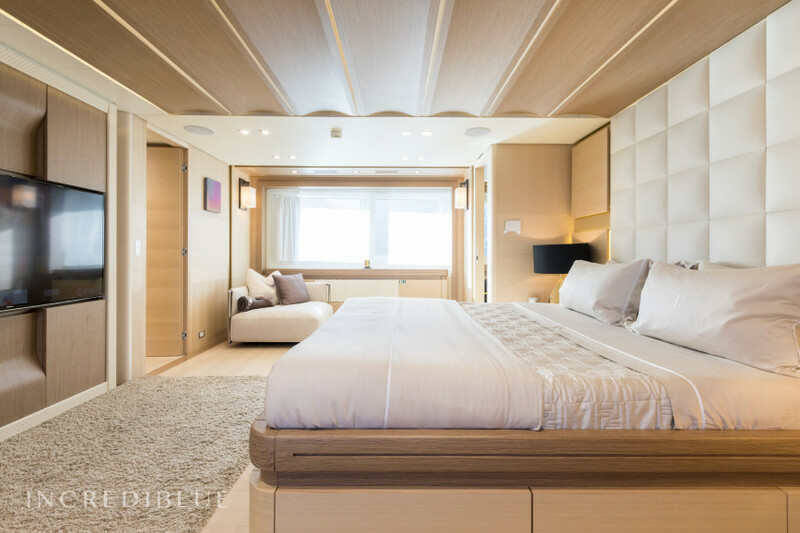 With a full beam master stateroom on the main deck and 4 staterooms on the lower deck, this boat can accommodate up to 11 passengers. 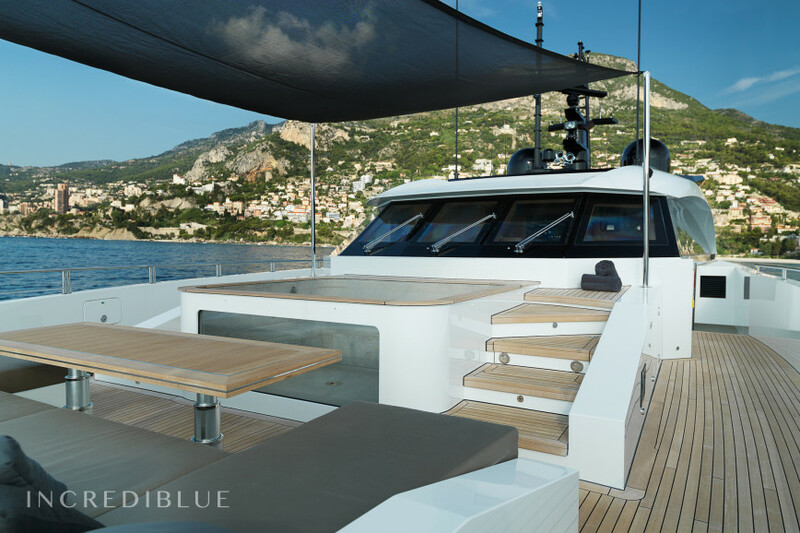 This boat was built to the highest "green" sustainability standards. 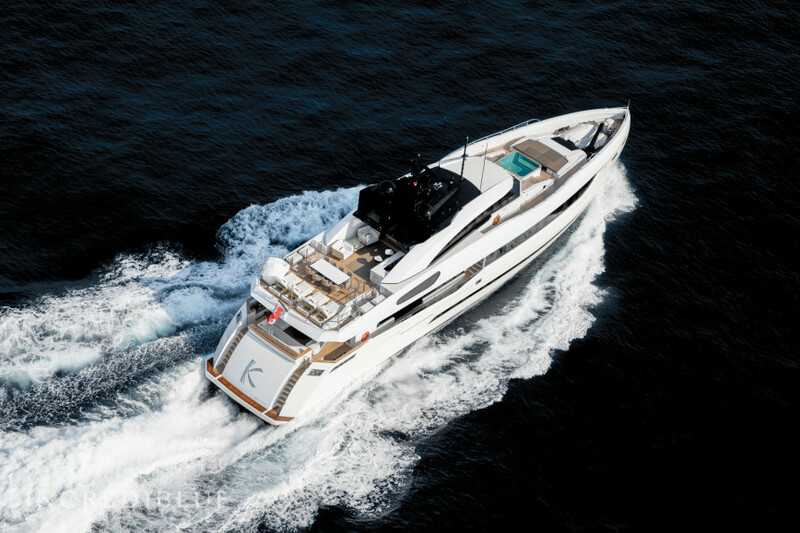 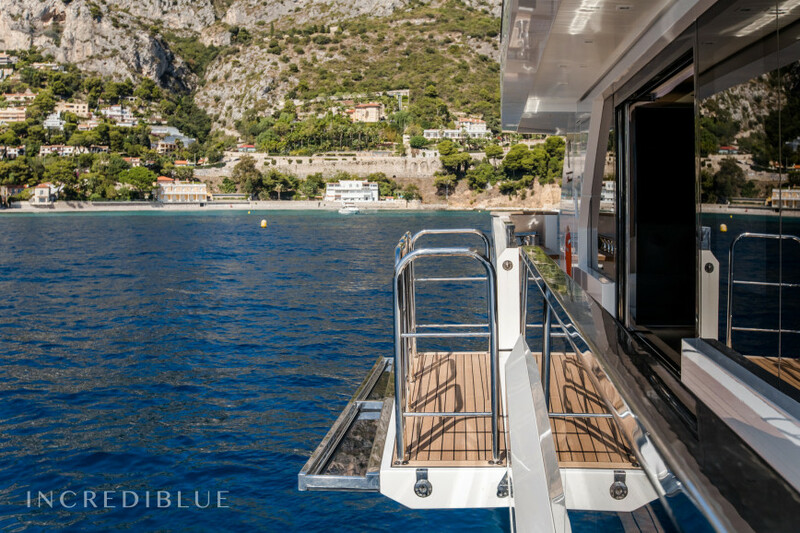 To reduce carbon emissions, the yacht features a hybrid fuel/electrical propulsion system. 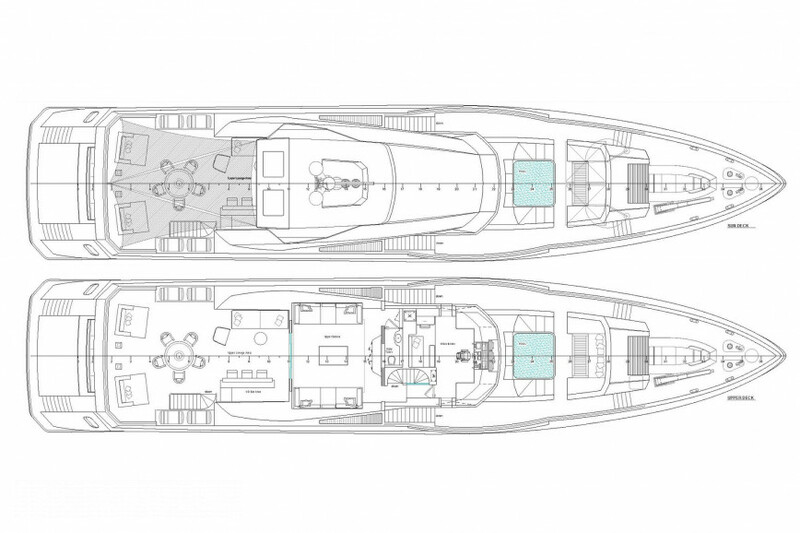 Under electric-only mode, the yacht can cruise at 7.5 knots. 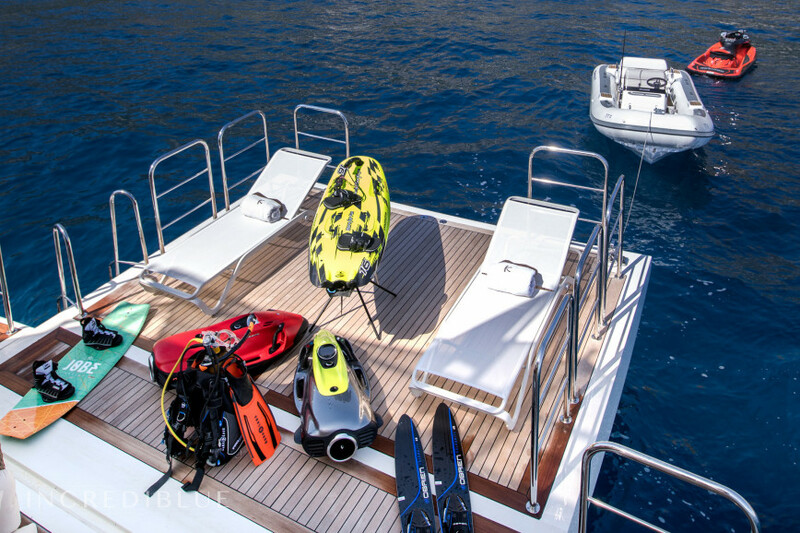 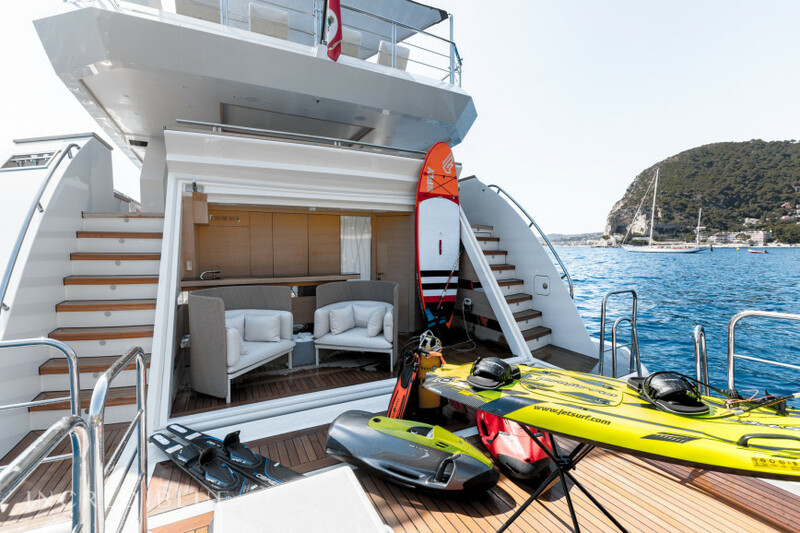 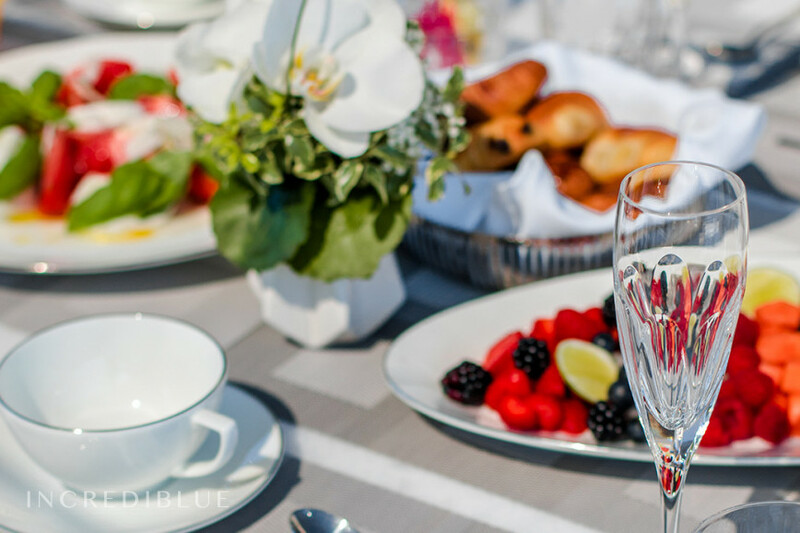 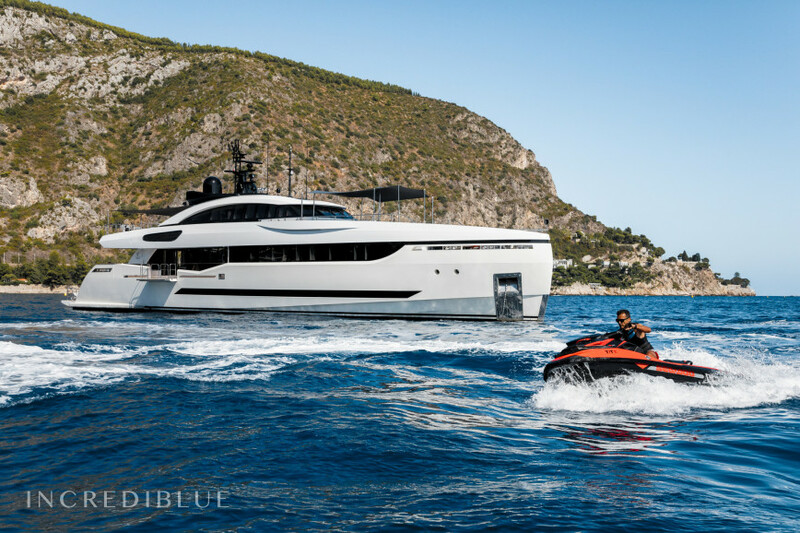 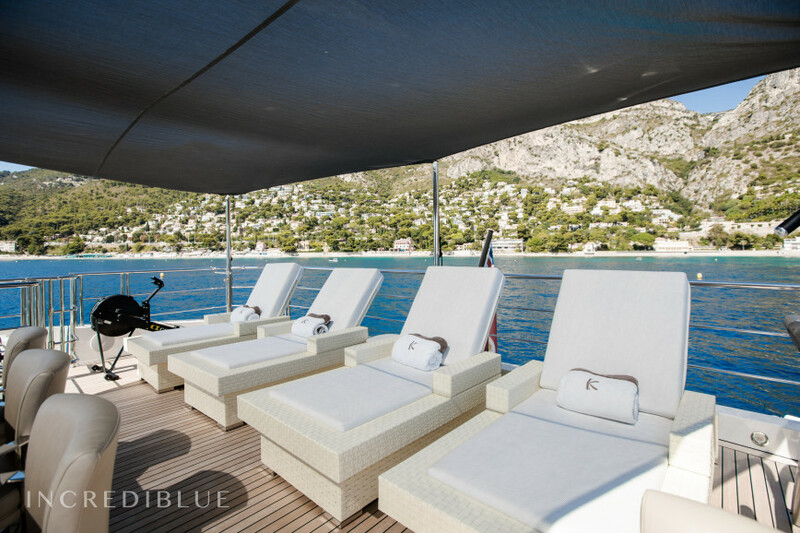 To minimize the use of disposable plastic, the yacht features 2 water desalinators with a total capacity of 8,600 liters - about 2300 gallons of fresh water daily. 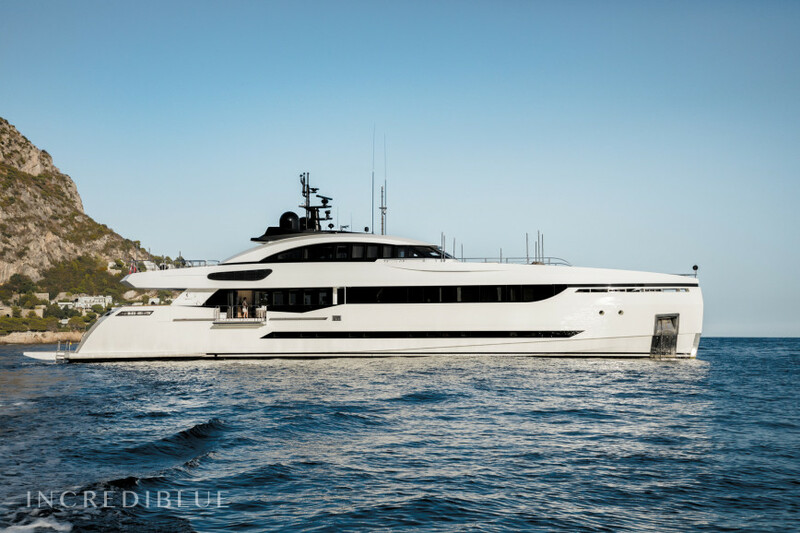 Based in the Caribbean in the winter, this is the perfect yacht for a Bahamas yacht charter holiday or trips further south in the Caribbean like the Virgin Islands, as well as St. Martin and St. Barts. 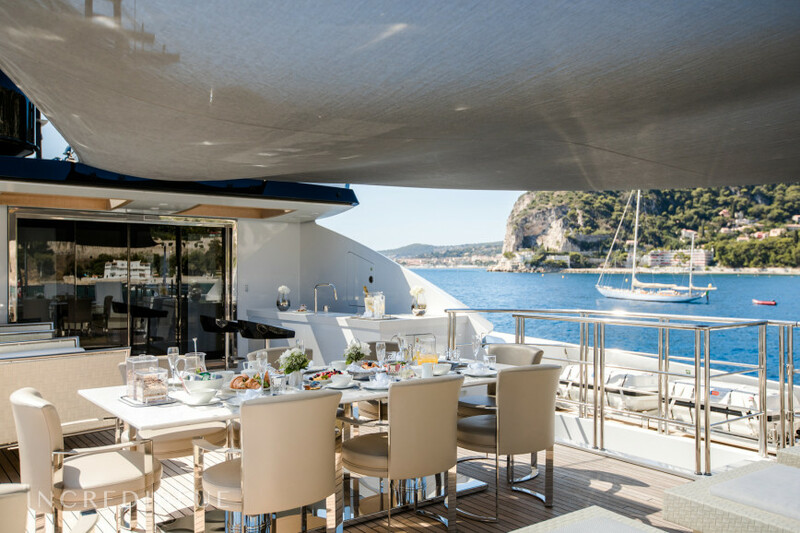 Please note: In the summer months, the yacht "crosses the pond" and sets up home port in San Remo, as an Italy yacht charter vessel. 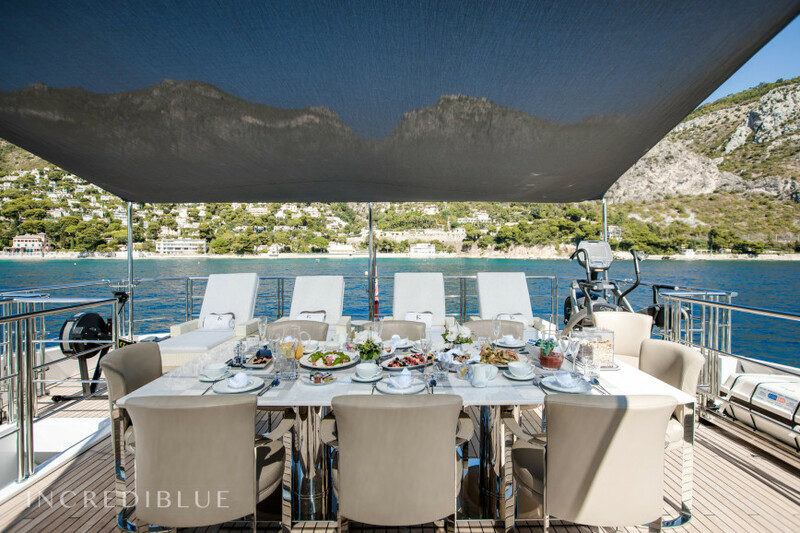 From here we can offer trips along the Italian coast, into Monaco and the Cote d Azure (French Riviera yacht charter), as well as further south in Italy, to Portofino, and the nearby islands of Corsica and Sardinia. 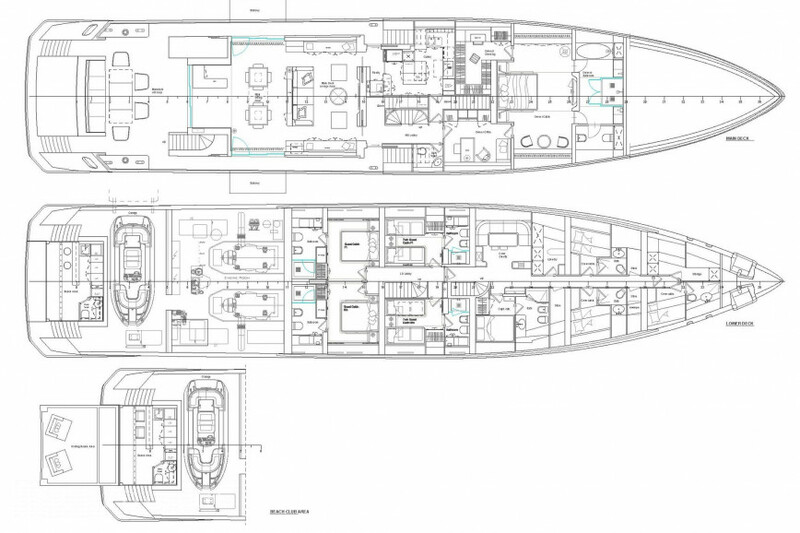 Engine power 2 x MTU 12V2000M94: 2 x 1920hp H.P. 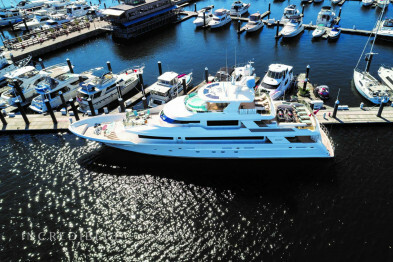 Rate includes yacht, crew, use of onboard amenities and watertoys. 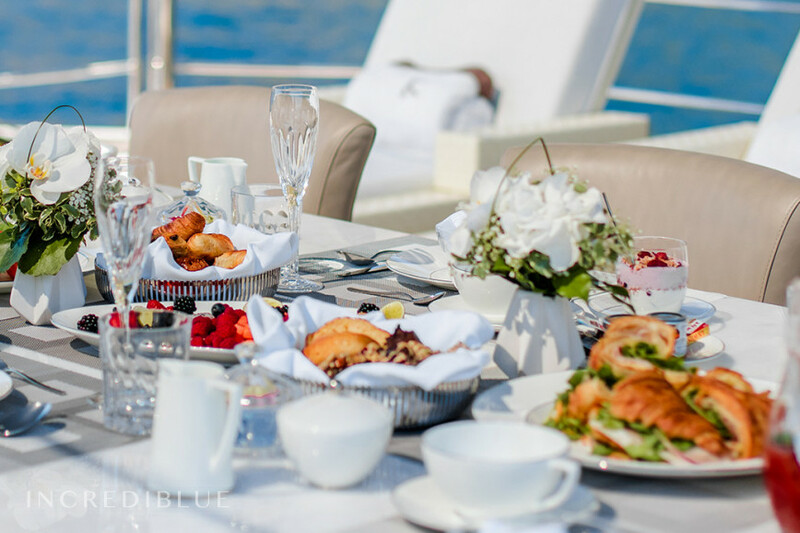 All running expenses (items such as food, fuel, bar, dockage) and any applicable taxes are additional.